Oh man, I’m furious. I just spent some time doing a huge writeup for this post, and when I clicked, “Post”, it deleted all of my text. I’ll try to rewrite it, but it is going to have a little bit of an annoying tone. Anyway, I managed to get out in the shop today for a little. I had previously gotten all of the doubler plates and reinforcement forks matchdrilled to the spar, so today was all about prepping and priming. Here’s W-707F, which sits on the back side of the left spar. I’ve deburred and scuffed it; all I need to do now is dimpled the outboard holes in preparation for attaching it to the spar and outboardmost rib. I love scuffed parts. They hide my fingerprints. 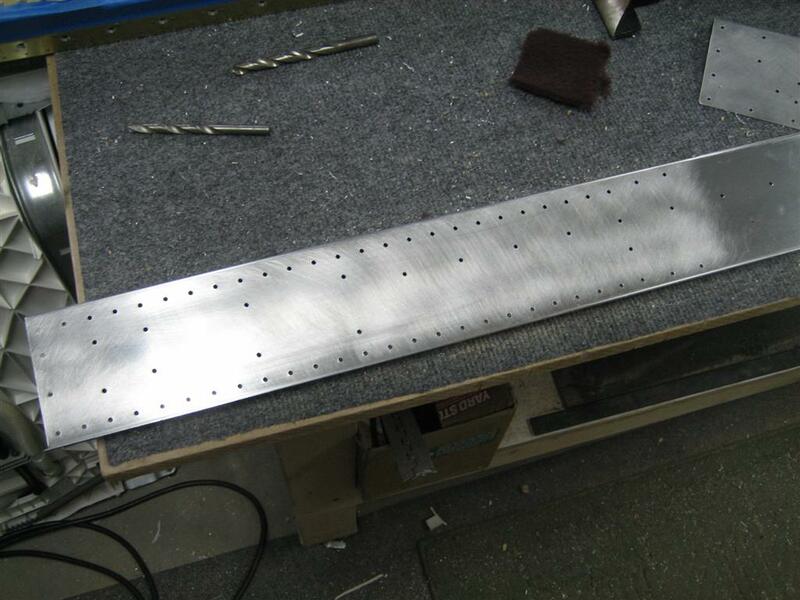 Here’s W-707E, which is the doubler plate that sits on the aft side of the rear spar, right in the middle. 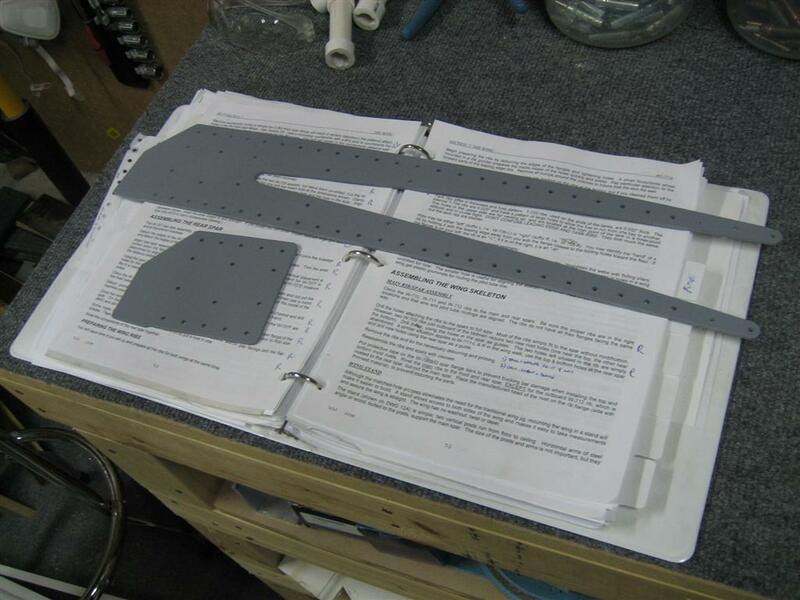 I’ve marked the cutout for the aileron push tube. Where’s that step drill? Yup, here you can see my fingerprints. I started looking around for my stepdrill. I spent good money on that stepdrill, but I couldn’t find it anywhere. On the workbench, under the workbench, on the floor, in some other shelves. I thought maybe I put it in some other tool’s case, so I got out the dremel tool, multifunction tool, jig saw, circular saw, etc. Nothing. I even accused the girlfriend of selling it on the black market to fund an bottle of Opus One. She insisted that while she thought about it, she didn’t. I remember putting it in this old small cabinet of drawers (that my dad gave me when I graduated college…thanks, dad!). I spent about 30 minutes just pulling out each one of these drawers, looking for my step-drill. Grrr. After continuing to work on the airplane (angrily) for another 30 minutes, I finally found it when I came back to the drawers and opened them with my other hand. Apparently my sausage fingers (they’re not, I promise…I’m just mad) blocked my view of the stepdrill, which was right behind the lip of the VERY FIRST DRAWER. Anyway. Back to the rear spar. 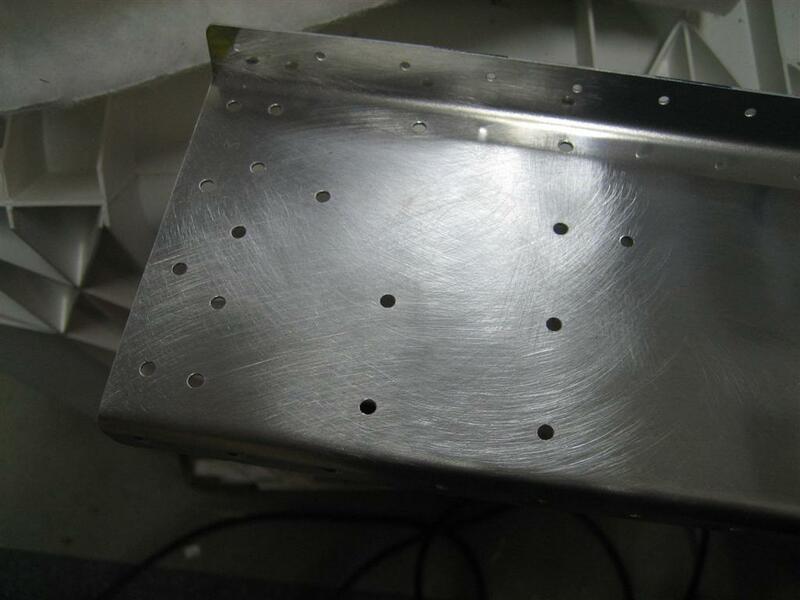 This is the forward side of the left spar, outboard end. I’ve deburred the edges of the whole spar, and now I’m deburring all of the holes I drilled. 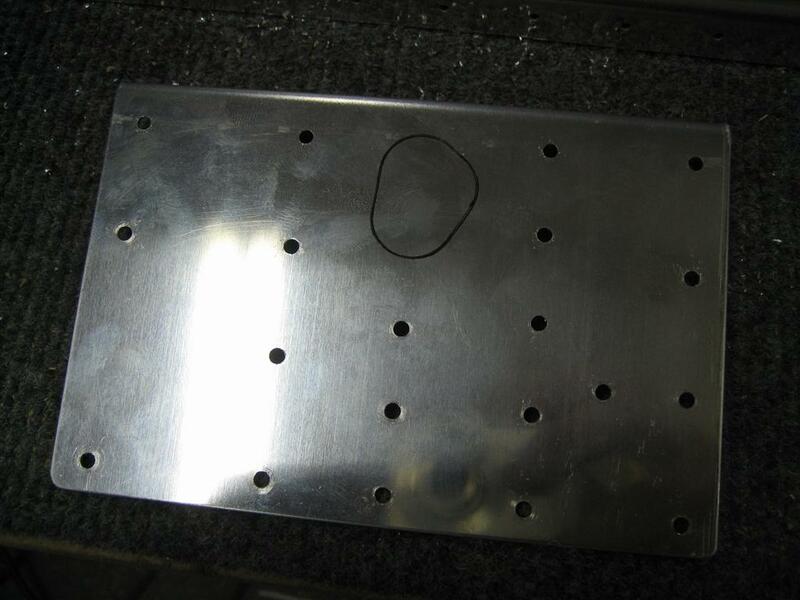 I always scuff the areas where there are holes I've drilled and deburred. Helps me keep the "did I do this already" time to a minimum. 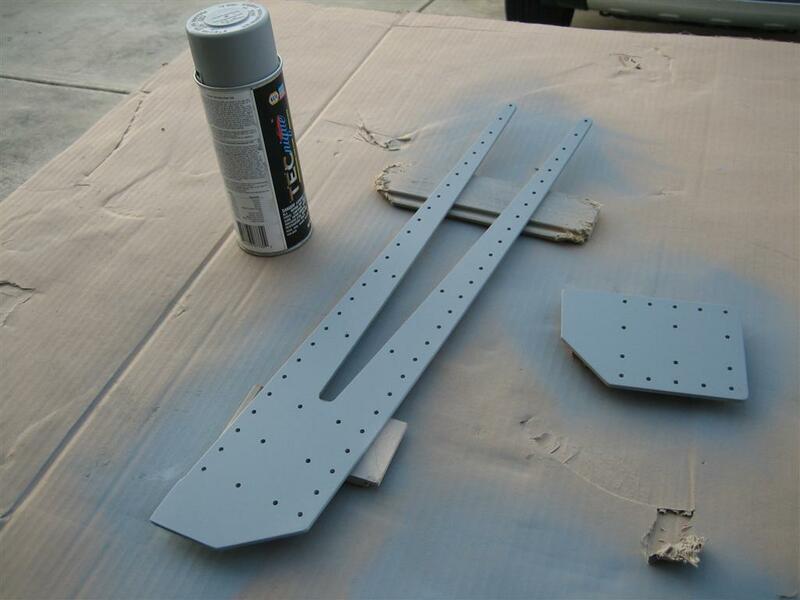 Oh yeah, I managed to get a couple parts primed today. 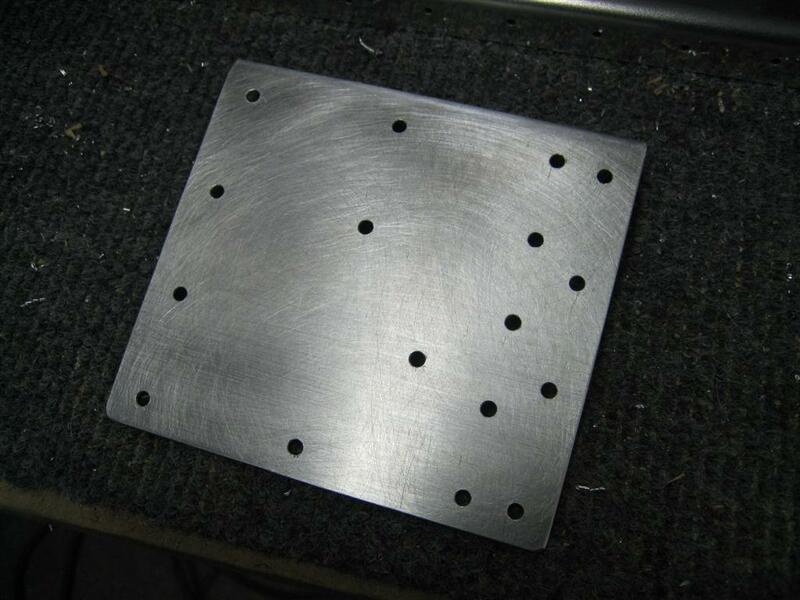 Like riveting, I always feel like it is a productive day if I can prime some things. You can also see my primer of choice, Napa 7220. Here’s the other side of those pieces (after plenty of drying time). Back to the spar, more deburring holes and scuffing. I'll finish scuffing the whole spar when I get closer to priming. 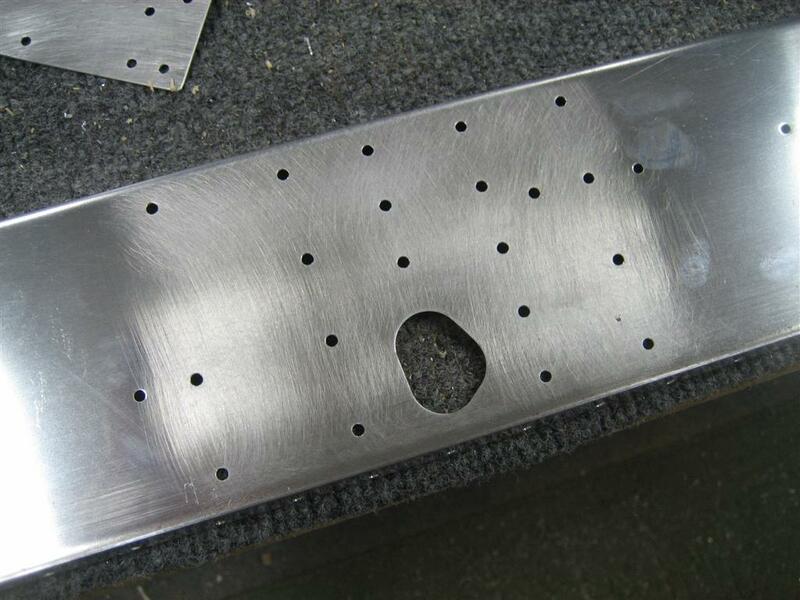 This is the middle of the rear spar, around the aileron pushtube hole. More deburring and scuffing. Jeesh, there are fingerprints everywhere. Finally, I brought the two primed parts back inside. 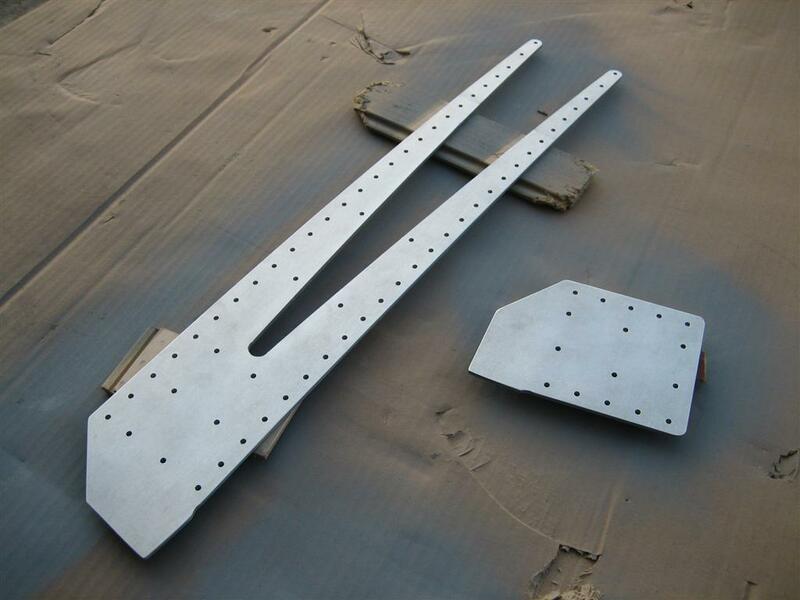 Primed parts on the workbench always means we're getting close to riveting. Wuhoo! After this was about when I finally found my step-drill. I was too angry at myself to keep going, so I headed inside to some grilled chicken, jasmine rice, and creamed corn. Mmmm. This entry was posted on Saturday, November 20th, 2010 at 6:21 pm and is filed under Wings. You can follow any responses to this entry through the RSS 2.0 feed. You can leave a response, or trackback from your own site.